Where are all the students? At the computer lab taking the PARCC test. My mother-in-law has said more than once that being a parent today is so much more difficult than it used to be. I think she might be right, so I am launching a series here to invite commiseration, which I am calling, It’s Harder to Be a Gen-X Parent Than to Parent a Gen-Xer. 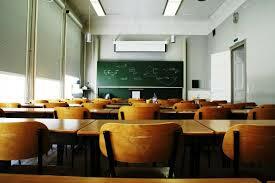 Let’s start with the topic of the moment, standardized testing. I am not an educator, so the only true experience I have is having taken standardized tests, reviewed my kids’ test results, and prepared my kids to take theirs — you know, things like making sure they have snacks in the backpack, get a good night’s rest, don’t get sick, have some protein at breakfast, avoid stressors within 5 days before or following the tests, don’t get itchy, wear their preferred turtleneck, feel great about themselves and their capabilities so they can do their best all within the context of don’t worry, you’ll do great. But even with my limited perspective, the message from educators and parents is clear to me — kids of my children’s generation undergo far more scrutiny by testing than I did back in the day, and it’s interrupting their education. When my parents were parents, I don’t remember standardized testing being that much of an issue. Once a year, maybe less often, your mom gave you some extra no. 2 pencils to take to school, mentioning that oh, by the way, you were going to have some tests that week, no big deal. There were no snacks, nothing special aside from the fact that you got a break from the usual routine. A few weeks later, your scores showed up, and you weren’t entirely sure what they meant, and they had no relevance to your life (until high school). They also had much less influence on your teacher’s performance reviews or salary, if any. In March and May of this year, many (or most) of the schools in Illinois (where I live) will administer something called the PARCC test. I can be relieved that my kids do not attend public school and therefore don’t have to take this test (this year, at least), because this thing appears to be a disaster-in-waiting. In the city of Chicago, there is a movement for parents to refuse the test. These people aren’t just trying to rock the boat because they like waves. Apparently of the 26 states that originally intended to administer the test, only 10 are going through with it. Even school administrators are speaking out, according to this piece in the Washington Post about a superintendent in the Chicago suburb of Winnetka who “warns” parents about the downsides of the test. Just out of curiosity, I decided to take a look at the practice test for fourth-grade math. I’ve had two kids in the fourth-grade who have been taught with two separate (though similar) curricula, so I feel that I am pretty familiar with what fourth-graders are expected to know. My kids’ school sets the bar pretty high. It’s a Blue Ribbon school, so my assumption is that the teaching is strong enough for my assessment to be valid. Here’s what I found. The first screen was a set of instructions that I hope teachers are walking through, as they are somewhat convoluted if you have the attention span of a nine-year-old. This is not a straight-forward fill-in-the-bubble deal or even pick the right answer. Some questions will have more than one answer, and you have to do this. Others will have only one right answer, and you have to do that. Fortunately, it was far more intuitive when I got to the questions, but what a way to elevate the nerves before the kids even get to the first question. The first two problems were pretty straight-forward, though not necessarily easy. One on place value was, “The value of the digit 4 in the number 42,780 is 10 times the value of digit 4 in which number?” The test-taker has four numbers to choose from all with the number four somewhere in them. A kid may know place value when asked, “What is the place value of 4 in the number 42,780?” but this question requires them to use place value in an additional way by working in the 10-times-the-value part. I can’t say this is beyond what’s expected of a fourth-grader, but they aren’t factoring in any warm-up here, are they? The third question was interesting. It involved adding three multi-digit numbers from a chart to get a total number of reports for a science fair, then figuring out how many tables would be needed to fit the reports, working with two different size tables, one size of which was available in a fixed amount. Once you used up all those tables, how many of the other size would you need at minimum? Granted, every step of that question is acceptable for a fourth-grader. They need to be able to read from a chart, add multi-digit numbers and multiply. 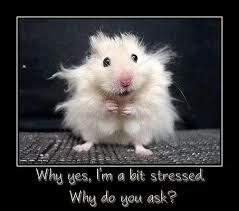 But there is a certain amount of mental endurance necessary for answering questions that have multiple layers. Full disclosure — I am not one of those parents who doesn’t like Common Core math. Actually, the way that it has been taught to my children, I think it’s an improvement over how I learned. My issue with these tests is whether or not they align with how the kids are learning in the classroom. This PARCC test and others like it seem a lot like veneer, the idea that problems will be solved by the introduction of more (and more complicated) testing. Standards will be followed. Students can be evaluated. Teachers can be told to raise their scores or else. What about the learning, or, even more important, the desire to learn? Are these kids going to school to gain knowledge and explore the world, or are they showing up so they can be measured and make a few people who guide educational policy feel better about this country’s performance compared to Korea and Finland? This seems like a ridiculous question, but how close does this recent article in The Onion feel to reality? Black Friday has never been my thing. I’m not an early riser. There is no thrill of the hunt for me. I’m never organized enough for the December holidays to even know what I should put on a list. And nothing I want (or want brought into my house) is a Doorbuster anyway. I’m afraid though that I am outnumbered in my generation, because it is during the GenX transition to adulthood that America has seen the rise of Black Friday and the emergence of what I am calling Even Blacker Thursday. There’s a piece showing up in my Facebook feed from the Huffington Post on stores that will open at 6 p.m. on Thanksgiving, including quotes from the retailers justifying their decisions. They may be in a heated race to attract shoppers, but I had a little fun thinking about how they compete on their key messages. Did this guy lift this right from his presentation in the C-suite? I especially love the phrase “most compelling shopping destination,” and the idea that Kohl’s consumers would consider a store’s “portfolio of sought-after national and private brands,” when planning their post-dinner pursuits. Wow! I wonder if there is a line of people forming at the service desk to apply for the Thanksgiving shift. Swag bags? All-you-can-eat buffets? Pep rallies? I guess we should assume that cots in the break room aren’t part of the plan. With all that excitement, there’s no way anyone would want to sleep anyway, let alone enjoy Thanksgiving with their family and friends. If you’re going to disregard an American original, at least be honest about it, right? Not only does Big Lots pat themselves on the back for their open ear policy regarding customers, they trump all other retailers in their prophecy made two decades ago that America would come to this. Get with it, people. Black Friday hasn’t begun in the wee hours of the morning for a while now. If you want to roll back the prices on your shopping list, you’d better get on board with a new concept of time. Geez! 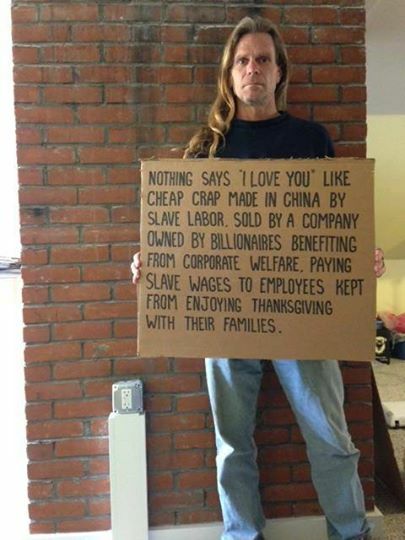 How kind of them to make it possible for their employees to shop Black Friday by working on Thanksgiving. You can at least say that Macy’s isn’t biting the hand that feeds. Yesterday my daughter had an assignment for social studies… to come home and ask a parent to describe 9-11 in one word. It was hard to think of one that would offer more meaning than horrible, scary or sad. It is all of these, but as we are distanced from the events by time, there are other words that come to mind. After writing down several, the one I chose was “end.” The moments before I got the phone call from my husband telling me to turn on the TV represented a different world, one that hadn’t yet revealed the bad side of possibility. For many of us, the violence of severe political, religious, etc. conflict was at a substantial distance. The destruction of the Twin Towers put it right in front of us. Optimism is not gone, nor is faith or hope — all those things that help a community or nation recover from such a thing. We have witnessed that life goes on — 13 years of it, in fact — and we see those things reflected in our remembrances. But I imagine that for most of us, those concepts are tainted a bit by that day. GenXers were getting a foothold on their adult lives when 9-11 took place. The oldest of us were just reaching our mid-30s. That day was devastating for so many people across generations. For us, it might be considered a loss of innocence, that time when our invincibility was called into question. I told my kids yesterday that I once had a key card to a hotel room near the Twin Towers that had to be torn down due to the destruction. 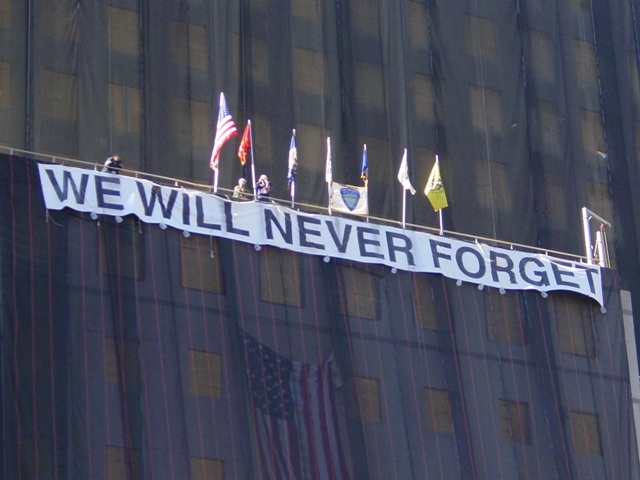 It was from a trip my husband and I took there only a few months before 9-11. The kids asked why I kept it. I didn’t have an answer, but maybe it was because it was a piece of the world that existed before. When you send a mom an email (or the wisdom of Sting). When you send a mom an email, she might volunteer to provide treats for her child’s holiday party. When she realizes she’s run out of cupcake papers, she might add that to her list for the store. When she gets to the store and fills her cart, someone might tell her that, no, they do not carry cupcake papers. When she goes to yet another store and buys those cupcake papers (but not Dixie cups because they didn’t have any), she might think she’s done shopping. When she goes to yet ANOTHER store to buy the pajamas, she might realize she could have just gotten everything there. When she comes home from that last store (with plenty of other items), she might realize that she could also have picked up Dixie cups at the last store. When she washes her hands and finds that the liquid soap pump sprays foam all over her sweater because it has more air than soap in it, she might add that she could have bought the hand soap she keeps forgetting at that last store too. When she listens to the line, “Then you’ll find your servant is your master,” she might think that this sums up her relationship with the American retail industry precisely. 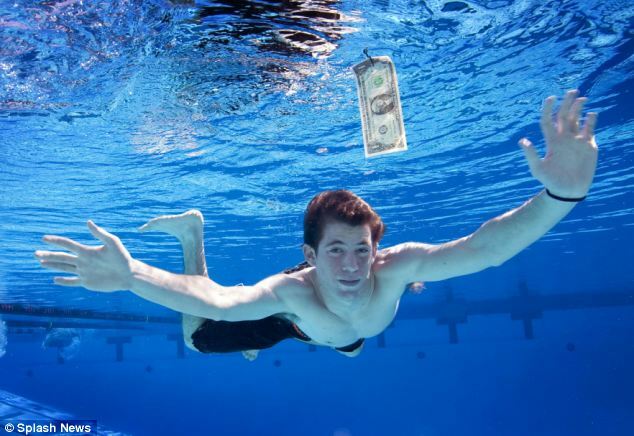 Those of us who remember the release of “Nevermind” or the demise of Nirvana’s frontman, Kurt Cobain, are supposed to feel their age when shown this image. But I was already feeling that way this week due to a variety of other harbingers of maturity. A department head named Dakota. I was reading a trade publication for work the other day and came to the section where they announce promotions, new positions, etc. There was a listing for a woman named Dakota who had just joined a company as director of one of their departments. Disclaimer — I am not one of those people who thinks that a guy named Buck can’t be a sommelier or a woman named Ginger won’t land a “serious” job. But the fact that kids born in the era of Montana and Sierra are now leading groups of people in manufacturing companies made me realize that quite a bit of time has passed since the Heathers and Dawns of GenX entered the workforce. Not a single person in my writing class understood my cultural reference to Rob Lowe. In the GenX female dictionary, look up the definition of “hot,” and you will find the words “Rob Lowe.” So in the spirit of “show-don’t-tell,” I described a character as looking like Sodapop from The Outsiders. No one understood the reference. It was so off that many of them actually called it out in the notes they wrote for my workshop. When a classroom full of mostly adult women does not totally get Sodapop, you know that you’ve crossed the threshold of time. It makes me wonder if they even know C. Thomas Howell! The contents of my purse. I’ve been known to say that the size of a woman’s purse indicates her age. In college, we didn’t even carry purses out to bars, because the possibility of losing them in all the excitement that a $3-pitcher establishment offered was so great. As a female acquires more responsibility, the bag she totes around gains more stuff. This week, though, it was not the size of my bag but what I found in it that made me feel my age. If the contents of one’s purse reflect that person’s life, I think that a child’s molar, reading glasses and a tube of Motrin for my pending fourth root canal sums it up tidily. The fact that I went to college when pitchers cost $3. Frances Bean is not a baby. If the dude from the Nirvana cover is 22, then Frances Bean, Kurt and Courtney’s daughter, must be legal drinking age as well, or at least close. I could google this, but I’d rather retain the small measure of doubt that this is true. My daughter received a clock-radio-iPod docker for her birthday, so I removed the CD-player-radio combo we got from my FIL from her room, saying these words as I picked it up and put it on top of the whites load in the laundry basket to be carried to the basement. And while I realized how weird it was to call such a thing “obsolete,” I noted how she had never used it… of course because she has never owned a CD. I realized I don’t have a Pintrest account. Gen X as slacker parents — not so much. 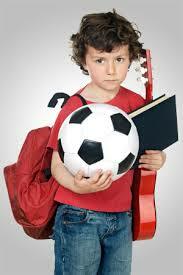 Does this look like the child of a slacker? This morning, I was watching a segment on The Today Show featuring Jessica Lahey, an education and parenting writer, and Wendy Mogel, a family psychologist and author, on the importance of creativity. One of the guests commented on how offering creativity boosters like free play goes against the current trend of days filled with structured activities. How ironic — the generation known for being slackers is raising its children with an intensity that appears to be unparalleled by previous generations. As soon as Gen Y graduated into an awful economy, they became the hopeless unemployed basement dwellers who feasted off their parents’ generosity. But let’s not forget our roots. We were the original lazy generation, though no one accused us of being coddled by the latch-key lifestyle of many of our formative years. Yet, I’m sure the phrase, “They aren’t willing to put in the hard work,” has been uttered about every generation when they entered the workforce, especially those gifted with poor job prospects. Research does show us, though, that each generation has some defining characteristics, and Gen X is supposed to be filled with free thinkers who value family and personal time. And I know that as we matured into our parenting years concepts like “free range parenting” and the like gained notice (though maybe not popularity). But so has the “helicopter parent.” So what’s behind the intensity of the current parenting generation’s practices? Not only are our kids over-scheduled (which, in turn, suffocates our families and ourselves with commitments), but we do things like put them in sports leagues that require incredible amounts of practice time, increasing their risk of injury to growing bones and joints, or sign them up for other endeavors meant to help them stand out among their peers. I used to work with an orthopedic surgeon who said he does procedures on teenagers that were previously only done on ex-athletes whose joints wore out in middle age. Where I live (and I think it’s the same in other major urban school districts), kids test into the good public high schools, which means that they spend their middle school years being tutored on top of their normal academics and have to hope that they won’t get an A- in gym, which would sink their GPA too low to compete. This kind of thing is only good if you are in the business of test prep or treating anxiety disorders. Some of this is forced upon us, such as the choice between spending the equivalent of a college education on a private high school or tutoring and test-prepping your child for a shot at a good free education (something most of us were raised to expect in this country). Work schedules make it tough for some people to offer blocks of free time in one’s bedroom or backyard, and many schools have addressed the need for after-school supervision with structured programs. This problem has been chronicled over the past several years, and Wendy Mogel isn’t the first child expert to warn us against neglecting free play. Why does it seem that we are still heading in the wrong direction? I can admit that some of the intensity that taints my parenting is self-inflicted. When my child wants to do everything, it’s hard for me to say no. I listen to parents “lament” their weekends dominated by their children’s schedules, and I detect an air of superiority in their “Oh, we’re just so busy,” that has me questioning how productive my family’s weekends are. When I see my kids’ toy room and could submit a photo of it to The Weather Channel as a post-disaster scene, I wonder if they have too much free time on their hands. But Wendy Mogel said on The Today Show that mess is the work of creativity, so we have that going for us. Perhaps next time I feel belittled by a fellow parent’s weekend field-to-course-to-court odyssey, I can sigh and talk about how da Vinci’s parents must have had to live through such assaults on their household order as we do. Apparently those sacrifices we make with our feet when we try to cross through the land of 10,000 Legos are, in fact, part of the formula for future success. I heard only the end of this part of the segment, but experts have determined that creativity is a key trait of business leaders. While I have issues with guiding a child through life with only the goal of a well-paying job in mind (see We Are More Than Our Metrics), perhaps this will get more people on board with the idea that we Gen Xer parents should chill out a bit.